Today, we are the guest blogger over at STEM FRIDAY. 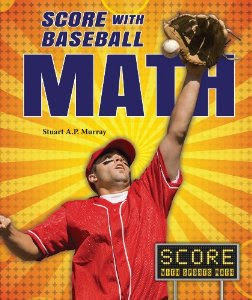 Come join us as we talk about sports and how it relates to math! Kyle Busch debuts new look for his No. 18 M&M Toyota at the Coca-Cola 600 this weekend. This weekend Kyle Busch will continue to drive his No. 18 M&M’s Toyota for the Coca-Cola 600. But there will be one slight difference in the car's paint scheme. The familiar M&M characters will be wearing construction gear to reflect Joe Gibbs Racings’ partnership with Habitat for Humanity. You can see before and after photos of the car here. To learn more about Kyle Busch read, Kyle Busch: Gifted and Giving Racing Star from our Sports Stars Who Give Back series for grades 7–9. This book is also available as an eBook! Are the Yankees Missing Derek? 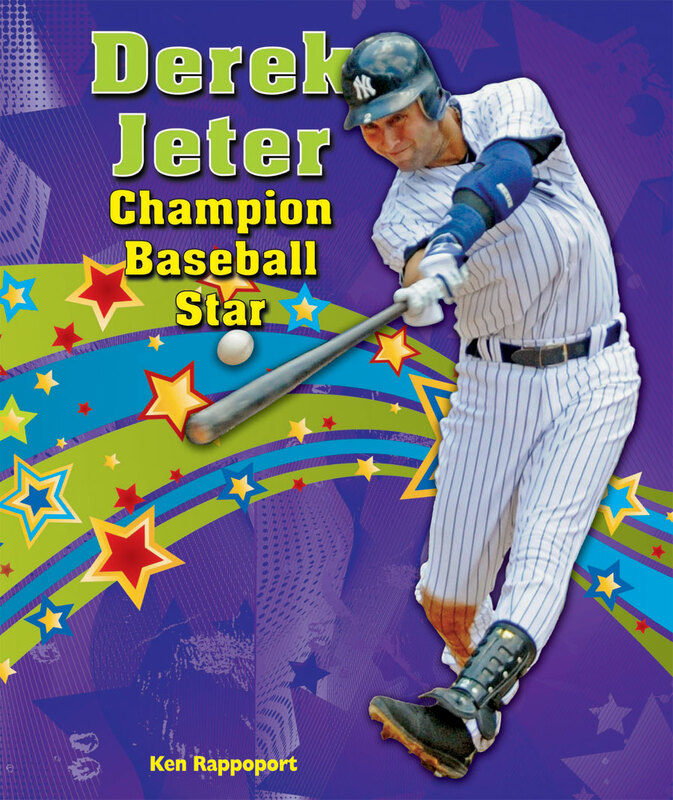 Even though Derek Jeter from the New York Yankees is sidelined due to a fractured ankle he suffered in the playoffs, we still think he's a champion baseball star! Scheduled to undergo surgery on Saturday, the Yankee's captain is expected to need several months for a full recovery. Do you think not having this champion player in the lineup for the remainder of the playoffs has made a difference in the outcome of the games? NASCAR's Tony Stewart muscled his way to a third Sprint Cup title yesterday. If you are interested in learning more about this champion driver, check out Tony Stewart: Rocket on the Racetrack, written by Ryan Basen. ISBN: 978-0-7660-2998-9. This biography is one of many books in the Heroes of Racing series by Enslow Publishers, Inc. Visit http://www.enslow.com/. Have you heard? Olympic medalist, Michael Phelps is now part of the virtual pool. His new video game, Michael Phelps: Push the Limit, was released earlier this week. The game was developed by Blitz Games and published by 505 Games for use with the Kinect system for Microsoft's Xbox 360. My kids love the Kinect games and I can see this one being both fun and challenging. It's also a great way to bring more attention to the sport of swimming. Young readers can learn more about Michael Phelps in our book, Michael Phelps: Swimming for Olympic Gold for grades 5–9 available in both library binding and paperback. A free educator's guide is also available through our web site. If you're not a Yankee fan you might not be disappointed that Derek Jeter is out of the lineup. Yankee fans, however, are disappointed that he's temporarily sidelined due to an injury. His quest for 3,000 hits is on hold for now. But in the meantime you can check out our title, Baseball's Top Ten Home Run Hitters that is perfect for reluctant readers. There's an interesting article in The New York Times today that caught my eye about Dr. James Naismith who wrote the first rules of the game of basketball. His original rules are set to be auctioned by Sotheby's. What I learned is that nearly every sport is evolved from something else but basketball is one of the few invented sports. Enslow's The Man Who Invented Basketball: James Naismith and His Amazing Game from our Genius at Work! Great Inventor Biographies series is a great way to tie-in this famous inventor with current events. This book is 32 pages for grades 3–4 and includes a timeline, words to know, a further reading list and Internet addresses, and an index. In this book, suthors Barbara Gardner Conklin, Robert Gardner and Madeline Goodstein show students how to use baseball, basketball, football, and other sports to learn about the science behind sports–the Magnus effect, topspin and backspin, center of gravity, and more! Part of the Score! Sports Science Projects series, author Madeline Goldstein helps students learn about the physics involved in wheeled sports; cycling, skating or skateboarding. Students can also learn great ideas for science fair projects along with the experiments.